1. Government figures suggest that 1 in 4 homes in the UK, has an issue with either condensation and/or damp. Up to 50% of damp-proofing company call-outs are for condensation related problems. 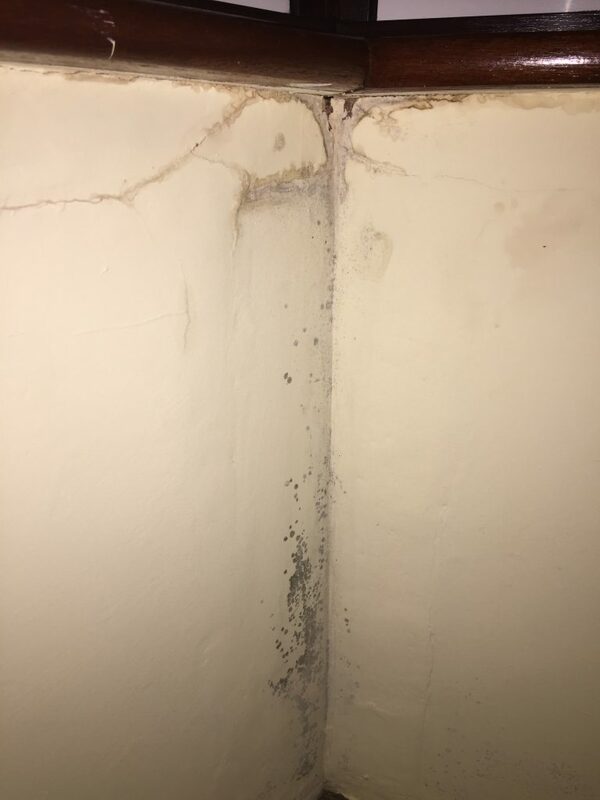 Rising dampness is often confused with condensation, but rising damp can usually be recognised by “tide marks” and surface blistering up to about 1.0 m from the floor and condensation tends to be accompanied by mould growth. 2. Condensation is seasonal and the condensation season coincides with dropping temperatures. If your property suffered with condensation last Winter but there haven’t been symptoms over the Summer this doesn’t mean the issue has gone away as it will, unfortunately, recur the following Autumn. 3. Condensation is caused by excess moisture in the air settling on cool surfaces. Air can hold a certain amount of moisture, but the amount varies depending on temperature; The colder the air, the less moisture it can hold. When air temperature drops, the moisture that it can no longer hold is deposited (condenses) onto the coldest surfaces available. You often see condensation on windows as these are generally cold surfaces but external walls or even ceilings may also be cold. 4. Double glazing reduces condensation on windows by keeping glass temperatures warmer, but this means that moisture will condense on other cool surfaces elsewhere, particularly adjoining wall surfaces, unless the property has cavity wall insulation. 5. Cooking, washing, drying clothes, having a bath or shower and even breathing can cause produce up to 5 litres of moisture a day per person, within the average home. That’s equivalent to 5 big bottles of soft drink for each person! 6. Condensation does not always occur in the room where the moisture has been created. Moisture moves around with the air and it can even move through walls, doors and ceilings. It helps to close the kitchen door when you are cooking but you may also need to look at an extract unit to help remove the excess moisture from the air. 7. You may be experiencing some of the symptoms of condensation without realising their cause; there may be musty smells within the property, water on windows and window sills, peeling wallpaper, mould growths on walls, clothes, shoes or on areas of the walls and ceiling. 8. If condensation is not treated it can result in a lot of expense. Clothes and bed linen may be damaged by mildew and need replacing and in the worst-case scenarios the damp can rot timbers and result in rusting metal wall ties. 9. Living with condensation can cause health problems as this form of dampness causes mould and mildew to grow and spores from these can aggravate chest conditions, such as asthma. House mites also thrive in damp atmospheres and research shows they can also cause allergies. 10. Condensation and related dampness can be resolved only by controlling the level of moisture in the air. It is important to control moisture levels in the entire house and ensure that there is adequate ventilation. If you think that you have a condensation problem it’s important to get a qualified surveyor to inspect the area and suggest one of the affordable solutions now available. Alternatively, you can take a look at some of the products and solutions we provide on our Condensation page.